The only crop that has not really done well for us summer is basil, it looked great when we started summer but with the wettest August since 1917 it has not done a great deal, not all of it died only about half of it did. 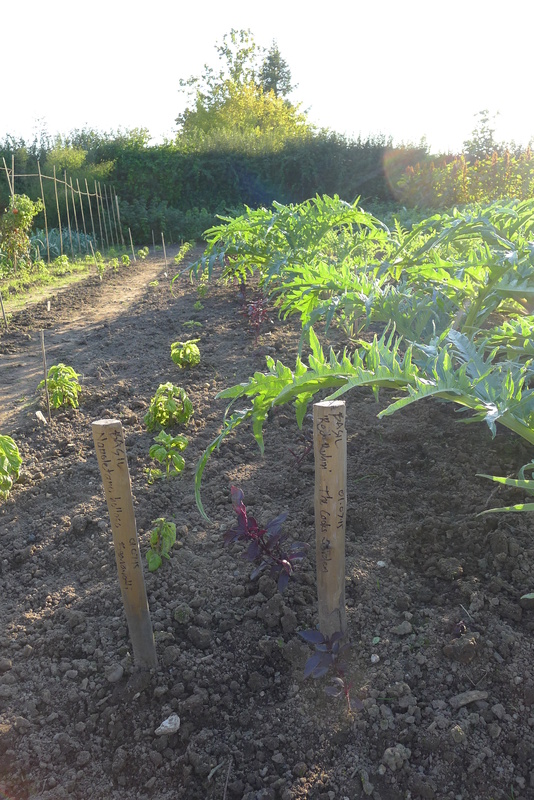 We have had a week of good weather but it maybe that it has come a little too late for the basil to turn around, it will have to be kale pesto this autumn I think. I have mixed feelings about basil really anyway, I do find it can be too strong raw in food, it works well as pesto and maybe that is it for me. It is not often that I open a magazine and want to be featured in it but I felt this about a magazine called ‘Salon’, it is an almost perfect thing, the only problem is that I can not read German. . We had a journalist and photographer here on the weekend covering the dog show from Germany, they gave me a copy of this magazine and now I just hope they will do something with me in it. 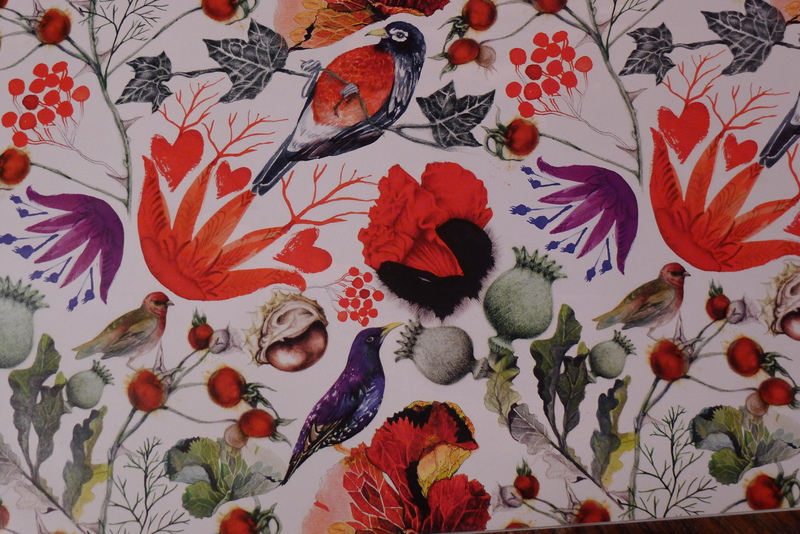 The photo for this blog is taken from the inside and back cover, what joy. Sometimes you need to stand back and just have a good look at the garden and see what went wrong and what you can do better the next season. Today I looked over the garden. Mrs Next-door had to have a cherry picker in to carry out some work on the house, the man asked if we would like a ride. So up we went, it was a great chance to get some photos and have a look at the layout of the garden. The vegetable garden looked great from the height we got to, well the whole garden looked great. 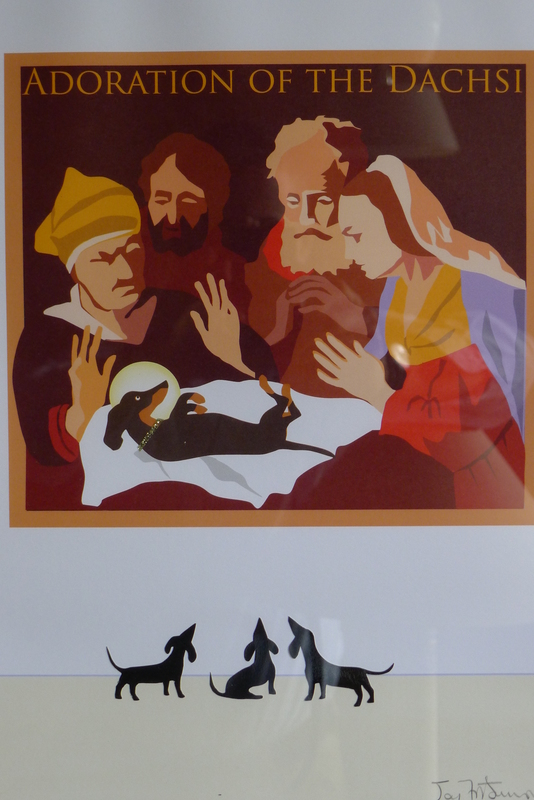 It is that time of the year for my two little dogs, the Great Dixter Dachsi show is going to be here on Sunday. Conifer enjoys it for the first hour and then just wants to hide away from it all. I am never sure how many dogs we are going to have till they turn up. They say we are going to have great weather so that is a help and with Thomas on the BBQ all should be fine. I will just have to rest my two before then and try and get a little weight off Conifer and myself, we are all on show really. Fergus and I are going to Memphis on the 13th of October to give two talks each at a garden called Dixon. It is not my first visit there and I am sure will not be my last if Linda Smith has anything to do with it. Last night I started to think about my two talks and how best set them out, I have now planned both and started to put together my talk on vegetable gardening. 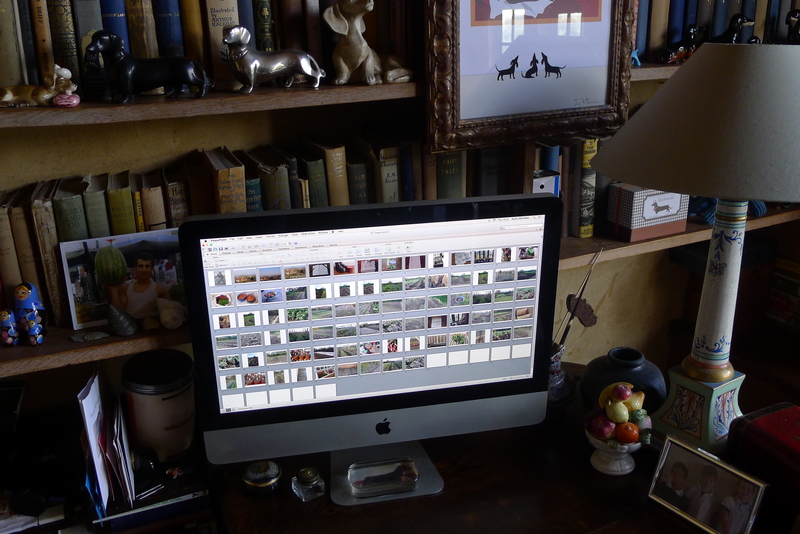 The photos I take for this blog are a great help. 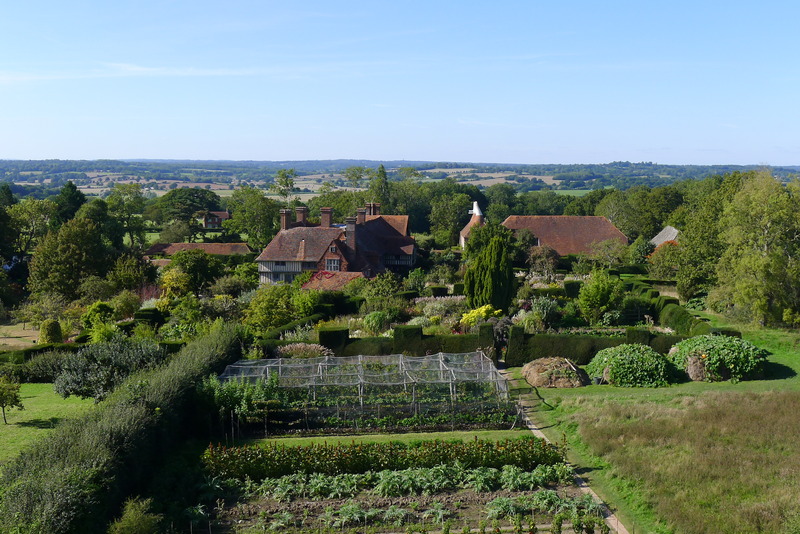 The other talk I will give will be on the history of Great Dixter House and the Lloyd’s. When I woke up this morning I had a plan of what the pumpkin patch was going to look like at the end of the day. I am sorry to say it did not happen because the farm that has horse poo in bags out the front did not have any today. 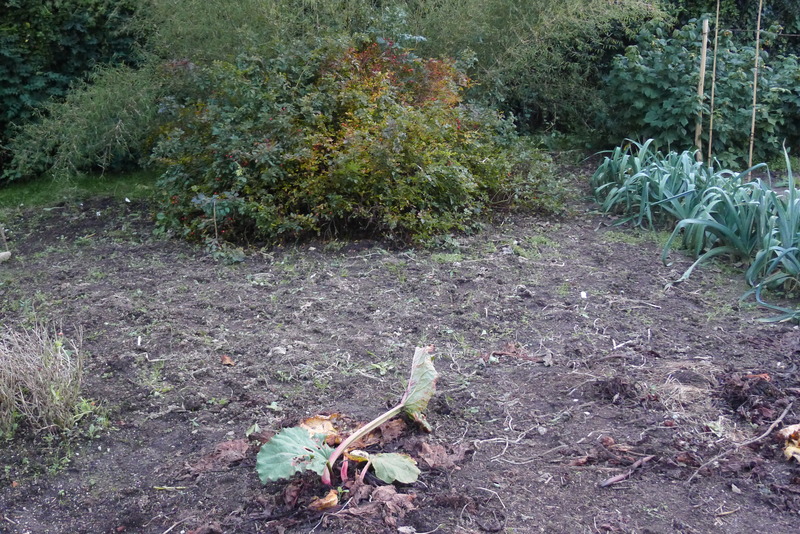 After bringing the pumpkins in and clearing the area I was not able to dig in a large amount of poo. I am happy with how each year the soil gets better but I am going to bring it to a new level this year so next year I will grow bigger pumpkins than Chris next-door. 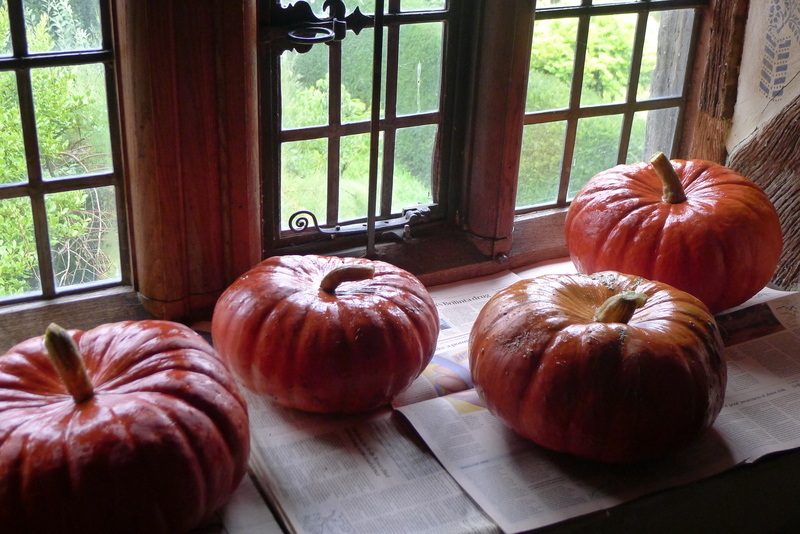 I have now cut the pumpkins and got them into the house. I am so pleased with them but I have four big boys that I am over the moon with, and because I love the so much I have put them on the windowsill outside my bedroom so that when I walk out every morning they will be the first things that I will see and enjoy. The rest will go on a bathroom floor to dry out and then I will start to eat them.